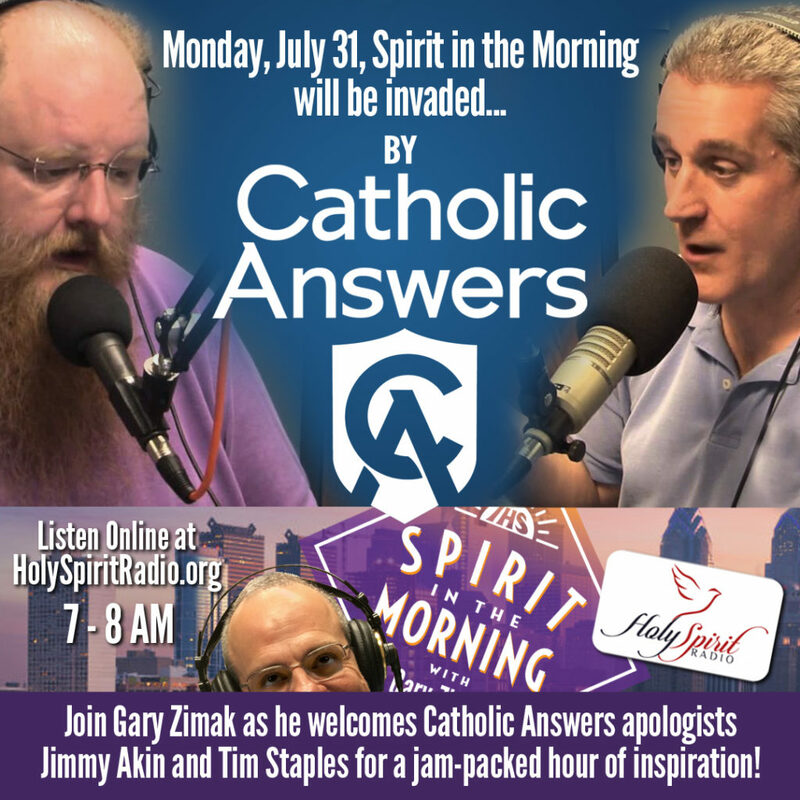 Catholic Answers Invades Spirit In The Morning! And now, for the first time ever, you’ll be able to experience both of them together on Spirit In The Morning, the fastest growing morning show on Catholic Radio. Join me as I sit down with each of them on July 31, 2017 in a powerful Catholic apologetics double header. Gary Zimak, Tim Staples, Jimmy Akin together on Spirit In The Morning. 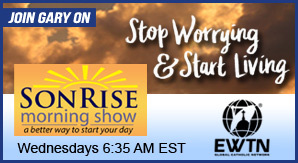 Listen live Monday July 31 at 7 AM ET on Holy Spirit Radio. 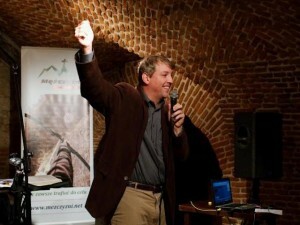 You can listen online at SpiritInTheMorning.com! Announcement Number Three – My Most Ambitious Project Ever! Wouldn’t it be great if we could get to know God better in 2015? Have you ever wished that you could know Jesus personally and ask Him to become intimately involved in every area of your life? Do you sometimes feel that you should know more about the teachings of the Catholic Church? Here’s some good news for you. 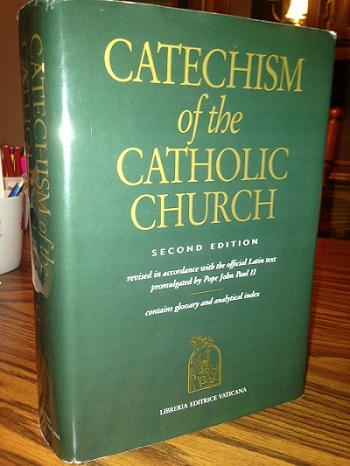 The Catechism of the Catholic Church will help you with each of those areas. Unfortunately, the size of the book (900+ pages) and our busy schedules can easily make us believe that it’s not practical to read through it. No problem! 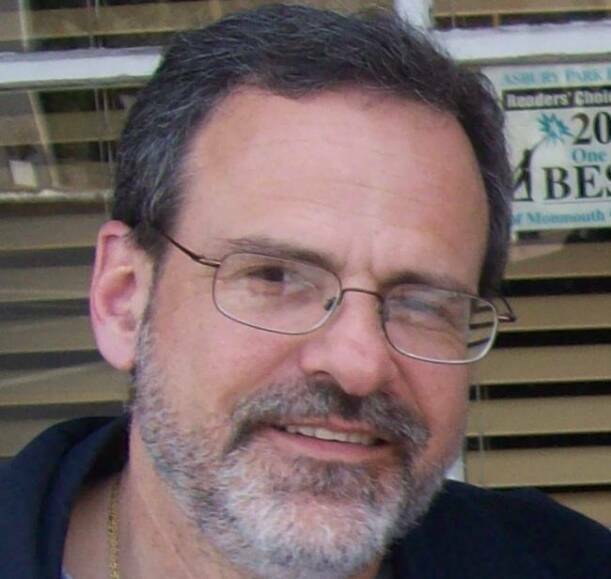 On January 5, 2015 on The Gary Zimak Show on BlogTalkRadio I will begin walking through the Catechism of the Catholic Church. Together, we’ll discuss this great document for 30 minutes each night. I’ll start at the beginning and keep going until I reach the end. Whether you’ve read the Catechism before or never even looked at it, I can promise you that you’re going to hear the contents presented in a new and practical way. I’ll make every effort to ensure that you have a better understanding of God, a better relationship with Christ, a clearer understanding of the teachings of the Catholic Church and the ability to apply them to your daily life. I hope you can tune in on Monday, January 5 at 8 PM Eastern. 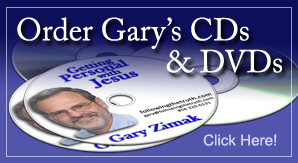 All programs will be archived and can be downloaded from my BlogTalkRadio page and iTunes. See you on Monday! Attention Catholics…It’s Time To Get Serious About Evangelization! 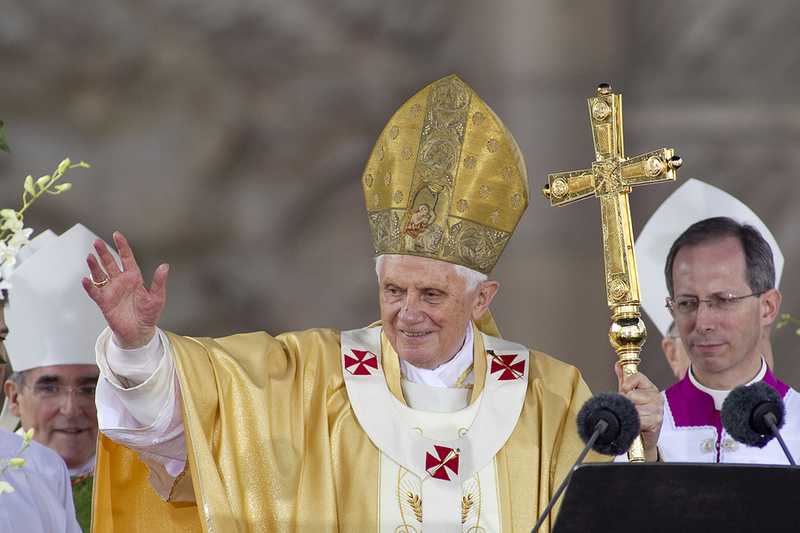 On October 11, 2012 we officially begin the celebration of the Year of Faith, as promulgated by Pope Benedict XVI in his Apostolic Letter Porta Fidei. The Holy Father has declared that the Year of Faith is “a summons to an authentic and renewed conversion to the Lord, the one Saviour of the world”. His hope is that this commemoration will “arouse in every believer the aspiration to profess the faith in fullness and with renewed conviction, with confidence and hope.” If you’re Catholic, there’s a good chance that the Holy Father’s words about professing the faith will make you a little uncomfortable. Why? Catholics are known for many things, such as novenas, devotions to saints, love for the Blessed Mother, and abstaining from meat on Lenten Fridays. One thing that generally doesn’t come to mind when we hear the word “Catholic” is evangelization. To be totally honest, the vast majority of Catholics view evangelization as a negative thing. There is a belief among many Catholics that our relationship with God is a highly personal matter and that “we shouldn’t impose our religious beliefs on others”. I must admit that I felt this way for many years. Even though I went to Mass every Sunday, talking about God to others was something for Protestants and “Jesus Freaks”. I considered it offensive to tell others how they should believe. Furthermore, I didn’t want others to think I was strange. Evangelization is “not something that Catholics do”. To take it a step further, many Catholics don’t feel the need to learn or understand their faith, let alone share it with others. While that may be a common opinion, is it really what the Church teaches? Not at all! As Catholics, we are not only called to study and understand our faith, but we are mandated to evangelize. In other words, evangelization is not only the responsibility of the religious and clergy; it is a requirement for the laity as well. Every member of the Catholic Church is personally responsible for sharing the gospel message with others. The Vatican II document, Lumen Gentium, teaches that all baptized Christians “must profess before men the faith they have received from God through the Church and participate in the apostolic and missionary activity of the People of God”. 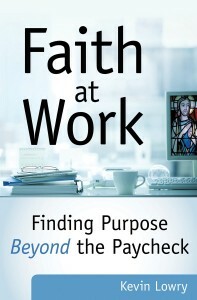 This profession of faith involves both actions and words. While it is crucial to set a good example, the Church teaches that we must also share our faith verbally. 1. Learn – We need to learn about the Catholic Faith. There is no way that we’ll ever be able to share what we don’t know. 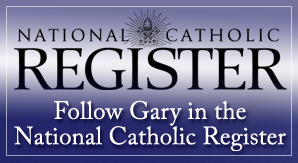 There are many great online resources to assist you in learning about the Catholic Faith. Among them are the USCCB and Vatican websites. Additionally, my Recommended Resouces page lists many authentically Catholic websites and books, all geared toward individuals with a basic or intermediate understanding of the Faith. 2. Witness – Christian witness lays the foundation for evangelization. Avoiding foul language, making the sign of the cross and saying grace before meals, having a positive disposition, and avoiding gossip are all ways that can be used to set a positive example for others. These techniques can be used anywhere: in the workplace, at school, in the home, even at the grocery store. People may notice that there is something “different” about us and could begin to ask questions. This provides the opening to share our “secret”, which is the Catholic Faith. 3. Share – There are many painless (but effective) ways to verbally share our faith with others. We can offer to say a prayer for a coworker who is sick or in a painful situation. We can explain how our faith comforts or sustains us in time of need. We can casually relate a message heard in a homily at Sunday Mass. This technique not only gives us the opportunity to share a positive thought, but it also sends the message that we attend Sunday Mass. Non-threatening techniques such as these are often very effective because they do not involve “beating people over the head” with our Bibles. 4. 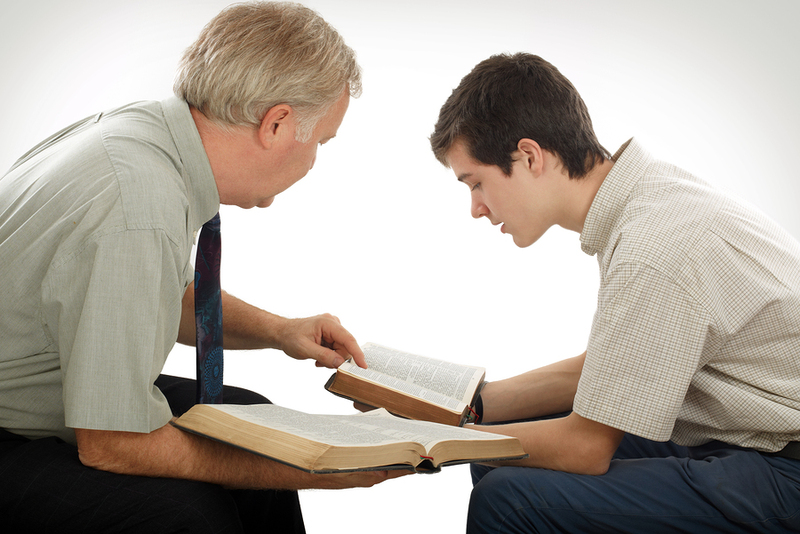 Pray – The most important step in being an effective evangelist is often the most neglected. We should always remember to pray, especially for an increase in the gifts of the Holy Spirit. Everyone who is baptized and confirmed has received the gifts of the Holy Spirit, but we need prayer and grace to help them grow. Prayer and frequent reception of the Sacraments will allow these gifts to grow and will ultimately lead to greater success of our efforts. We should also pray for the individuals to whom we are evangelizing. Welcome To Aquinas & More Catholic Goods! I’m pleased to announce that Following The Truth has become an official affiliate of Aquinas & More Catholic Goods! This means that every time you visit their site (by using the link from Following The Truth), I will earn a commission from your purchases. This will help to ensure that my full time work spreading the “Good News” of the Catholic Faith will continue! Aquinas and More Catholic Goods is centrally located in Colorado Springs, CO. We carry thousands of products ranging from books and videos to chalices and church furnishings. The store was started by Ian Rutherford in 2002 and is owned and run by his family and friends. The store name comes from two famous Catholic saints, Thomas Aquinas and Thomas More. The ox head in our logo is a symbol of St. Thomas Aquinas who was called “The Dumb Ox” because he was a very quiet student, and rather large. Our mission is to provide the tools necessary for Catholics and non-Catholics to learn more about the Faith and for Catholics to deepen their Faith. This goal will be achieved by providing a clear, unapologetic presentation of the faith and quality Catholic products that are beautiful, fairly priced and helpful to those who want to get to Heaven. Our Good Faith Guarantee is our latest way to help you, our customers, feel secure when shopping on our website. We always want you to rest assured that we are carefully screening the material we carry so you don’t have to. Any item that carries this logo on its details page next to the item’s picture is guaranteed to be in conformity with official Church teaching. We believe that as a Catholic store our mission is to clearly present the Faith, not to confuse people or promote material just because it is popular. When you see this logo next to a vestment or liturgical vessel, it means that the item conforms to current liturgical norms. If you’d like some more reasons to shop at Aquinas & More, you can read them here. I have never seen a Catholic goods store so careful about the products that they carry. I’d kindly ask you to use them as your source of Catholic goods and please remember to access their site from the Following The Truth website. By doing so, you’ll help keep us both afloat as we continue to proclaim the Gospel message. THANK YOU!!! Even though I am a cradle Catholic and have always gone to Mass regularly, I used to think that people who wore scapulars were a little flaky. Rather than just be “normal” like me, I believed that those “scapular wearers” were oddballs who embraced apparitions and phony visions of the Blessed Mother. Why can’t they just be “regular” Catholics, like me instead of believing in something superstitious like the scapular? 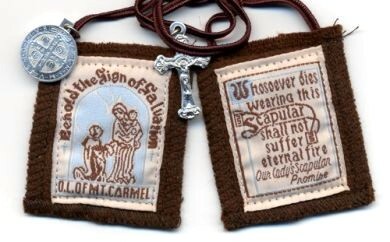 Most of all, I would never wear a scapular because someone might see it and think I’m weird. How do I feel now? Every morning I kiss my brown scapular and say to Our Lady, “Blessed Mother, I am all thine and all that I have is thine!” I then put on the powerful sacramental knowing that Mary will help me to stay close to Jesus as I do battle with the forces of evil (and don’t kid yourself…they are all around us!) that threaten me constantly. I wear Our Lady’s scapular because it is a sacramental which better disposes me to receive the grace that I need to be a better Christian. I am proud that I wear the scapular and I hope people see it for what it is, a visible sign of my love for Mary and my trust in her intercessory powers. Most importantly, I wear the scapular because I am a comfort-loving, cowardly, self-centered sinner and I desperately need Mary’s help to keep me close to her Son and help me remain on the road that will lead to Eternal Life in Heaven. That’s why I wear a scapular! It’s going to be an exciting week (7/8 – 7/13) on the Following The Truth radio show. Sunday (Sunday Sunset) – A 15 minute show designed to close out the Lord’s Day and get you ready for the week to come. We’ll pray the Night Prayer (from the Liturgy of the Hours) and briefly reflect on Sunday’s readings. Monday (Understanding The Mass – The Introductory Rites) – Why do we now say “And With Your Spirit” instead of “And Also With You”? Why do we ask for mercy 3 times? What is the purpose of the Gloria? We’ll answer these and many more questions, using the book, A Biblical Walk Through the Mass (Book): Understanding What We Say and Do In The Liturgy by Dr. Edward Sri. Tuesday (How To Listen When God Is Speaking) – How come God never speaks to me? That question can often be answered with another question…are you listening? Join us as we begin looking at the book, How to Listen When God Is Speaking: A Guide for Modern-Day Catholics by Fr. Mitch Pacwa. If you are trying to make a decision in accordance with God’s Will, you don’t want to miss this weekly series! Wednesday (The Importance Of Silence And Solitude) – In an increasingly noisy and busy world, it’s difficult to find the time or the place to be silent. 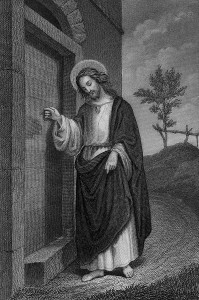 In his book, Imitation of Christ , Thomas a Kempis has a lot to say about the importance of silence and solitude. We’ll discuss it on this show. Thursday (10 Tips For Praying The Rosary) – Taken from various sources, we’ll present 10 great tips to help you PRAY and not just SAY the rosary. If you struggle with this great prayer, be sure to listen!